We do not know. What we do know is that Aldo Icardi did not kill Major William V. Holohan. 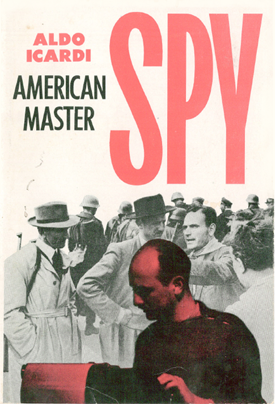 In his book, American Master Spy, Aldo Icardi explains in detail his version of events that fateful night in 1944 on the shores of Lago Maggiore in Northern Italy. Who was actually responsible for the murder has been the topic of much discussion and debate since the end of World War II. During his investigation of the Icardi case in anticipation of the perjury trial in 1956 (see U.S. v. Icardi), Edward Bennett Williams, one of America's most skilled trial lawyers and later successful businessman and owner of the Washington Redskins, obtained an admission from Vincenzo Moscatelli. Moscatelli was the leader of Communist partisan group operating in Northern Italy during the final stages of World War II.